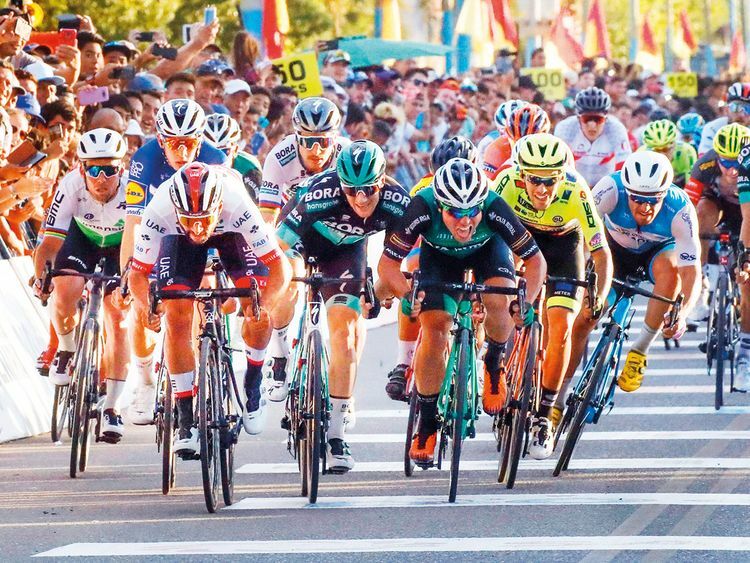 San Juan: UAE Team Emirates’ new signing, Fernando Gaviria, opened his season in the best way possible by winning the first stage of the 2019 Vuelta A San Juan in Argentina. At the end of a high-paced 159.1km stage from San Juan to Pocito, Gaviria outsprinted a world-class field of riders, crossing the line ahead of Matteo Malucelli (Caja Rural-Seguros RGA) and Sam Bennett (Bora-Hansgrohe) in just over three hours and fifty minutes. His sprint finish was the culmination of a well-orchestrated team effort, which saw the UAE Team Emirates train work tirelessly in the final two kilometres to get the Colombian to the front of the peloton. In the final 500m, he was delivered into a prime position by Simone Consonni, allowing him to launch the perfect sprint finish and get his 35th professional win.